As we look at Vancouver today, we see many sky raises and new building that have been built in the last 15 years. These drastic changes in Vancouver, when comparing to old photos of the city, we can see how we have changed through culture and experience to become the metropolitan city we have now. Vancouver is a young city created in 1886 by the arrival of the CPR Train. Many people heard about the abundance amount of gold located in B.C and decided to come to Vancouver to strike it rich. Growing in popularity, Vancouver was filled many people who migrated here during the gold rush, and creating the Vancouver it is now. The changes I have seen throughout the years have been extraordinary. Flat, wooded land that was once a forest is now gone and replaced by tall concrete apartment buildings. Every new building that is being built now are made to tower over the other buildings around them. Now on major streets cars have to share lanes with bikers. Old historic companies and buildings are evaporating out of Vancouver, slowly replaced by "sustainable" buildings that provide a more "green" approach to the environment. Although, the changes in Vancouver are for the better, I can't help but reminisce on what the old Vancouver was like. My most memorable historical place in Vancouver was the Old Stanley Park Zoo. It was free for the public and there were various types of animals from different regions of the world. One side of the zoo was a caged area with snakes and reptiles, the sea otters and penguin exhibit was on the south side where the aquarium entrances use to be. A little farther side from the penguin and otter exhibit there was a polar bear pit hidden behind the trails towards the horse drawn carriages pick up. Although many people say that the sea others and the penguins were the most popular attractions, I still think it was the polar bears the stole the show. The history of Stanley Park is a moment that citizens of Vancouver can never forget. The park itself was opened in 1888. The official name of the park was named after Lord Stanley of Preston (the governor of Canada at the time). As the park became a public area for people to come to, a park superintendent was needed to help maintain the park. So they hired the first ever park superintendent named Henry Avison. The grass root idea of creating a zoo came from a captured orphaned black bear cub. Avison found him wondering around and chained it to a stump for safety. 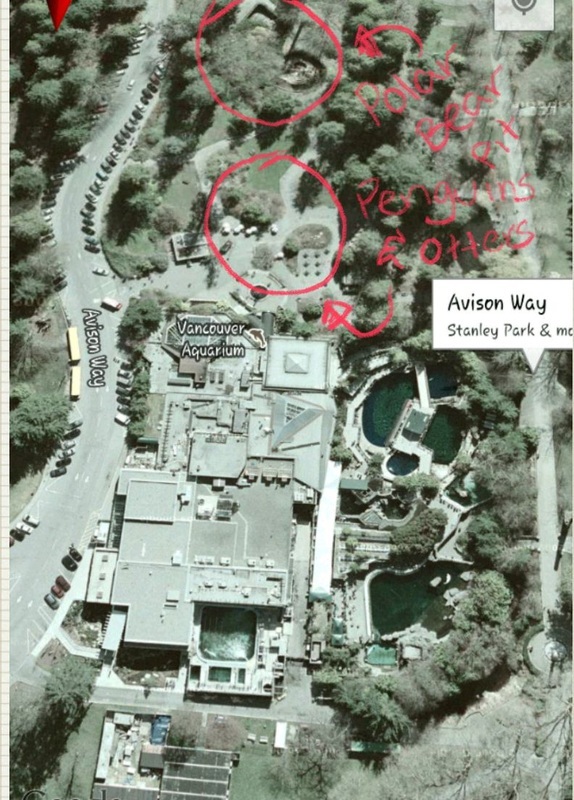 Avison probably found more animals that needed treatment or support, so he began to add more animals to his collection. Eventually, he became the city pound keeper and had enough animals to make a zoo. 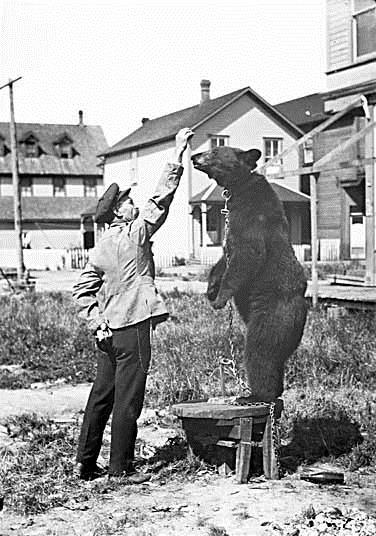 Figure 2-Avison with black bear cub. The zoo officially opened with 50 various animals ranging for native animals to exotic animals collected from people or found abandoned. Avison passed away in 1896, to commemorate Avison's hard work and dedication, there is a trail names after him to that leads up to the Lions Gate by passAfter Avison's death, a large number of animals were donated by the citizens of Vancouver in 1905; these animals included a monkey, a large seal, four grass parakeets, a raccoon, a canary, and a black bear. On June 15th, 1956 the Stanley Park aquarium was opened to the public. With the zoo right beside the aquarium, many visitors would come to the park to visit both exhibits. On Aug 1st, 1956 the first baby penguin born in Canada happened at our own Stanley Park Zoo. 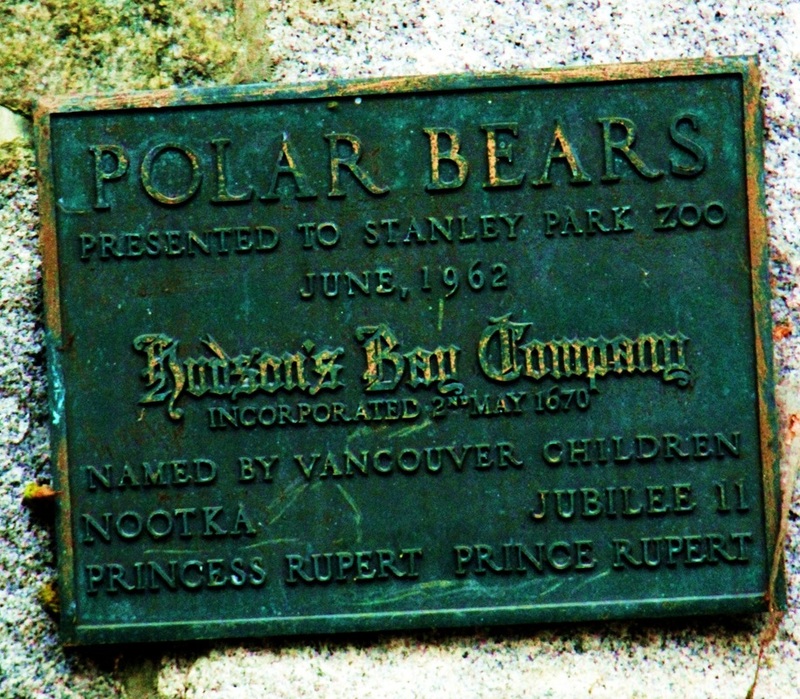 June 1962, the Hudson's bay company donated Polar Bears to the Vancouver zoo. This was a historical moment for many people because this was probably their first and only time to be able to see a polar bear up close without glass enclosures. Figure 3-Polar Bear exhibit sign. In the 1990's, many people started to become aware of animal cruelty. Many activists started to advocate for the right of animals to live freely. Many have claimed that the zoo, was inhumane for the animals because the weather was not appropriate, the cages were too small, and other things associated with the animals well being. So in 1994, the City of Vancouver referendum came out with a plan to expand the zoo. Many citizens were against the plan for expansion, and voted for the zoo to close down. Most animals were moved to the Greater Vancouver Zoo or to the petting zoo in Stanley park, others had to be moved to other facilities that can cater to their needs. The zoo was shut down in 1996, with the exception of the polar bear pit, which remained opened due to the health and old age of the last polar bear, named Tuk. At age 36, Tuk the polar bear died in 1997; marking the official closure of the zoo. 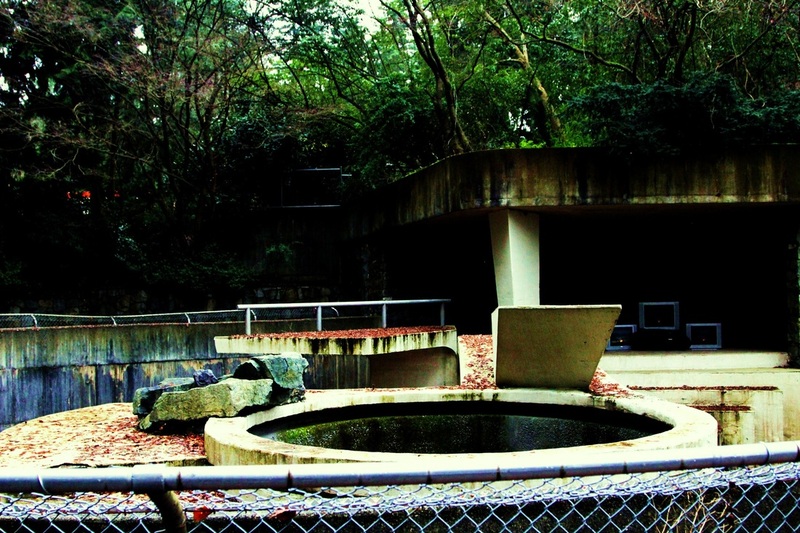 To this day, the empty polar bear pit still remains accessible for the public to see. As part of an enhancement project for the old zoo, the care takers decided to plant non-native plants and trees around the zoo to give the zoo an exotic feel. Since the zoo has been closed, the removal of these plants and trees were imminent. The replacement of these trees and plant are part of the Aquarium expansion project. At the moment, the polar bear pit is used for the Wild New Territories project that shows cases a series of Art work that explores the relationship between urban life and wild life with contemporary art. The Wild New Territories project is a collaboration project brought on by Stanley Park and SFU. The exhibits run from Jan 12th- April 13th, 2013. Even though the polar bear pit is filled with over grown vines and is filled with debris from the past, there are plans for it to be converted to a salmon hatchery for the public to view for free. The Vancouver Parks board in collaboration with the Vancouver Aquarium's plans to use the pit as an interactive program about salmon rearing and spawning for children and adults (Lowen, Salmon Stream Partnership). This interactive salmon project is called Salmon Stream Partnership. The Aquarium set out a voting poll in 2006, asking citizens to vote in favor or not for the Aquarium Revitalization and Expansion project. The Aquarium Revitalization and Expansion project is a project that will expand the Aquarium size, so more exhibits, space and created enhanced space for animal environments. 89% of the citizens voted in favor for the project, and the construction began in 2011. The expansion will finish around 2015. Due to the expansion, south side of the aquarium which was the old location of where the sea otters and penguins pit use to be, is now under construction. The whole area was blocked off, so this was the only picture I could take. During the time that the zoo was in occupation, many of the native trees were removed and replaced by flower beds and non-native trees to enhance the area to make it more attractive to visitors. 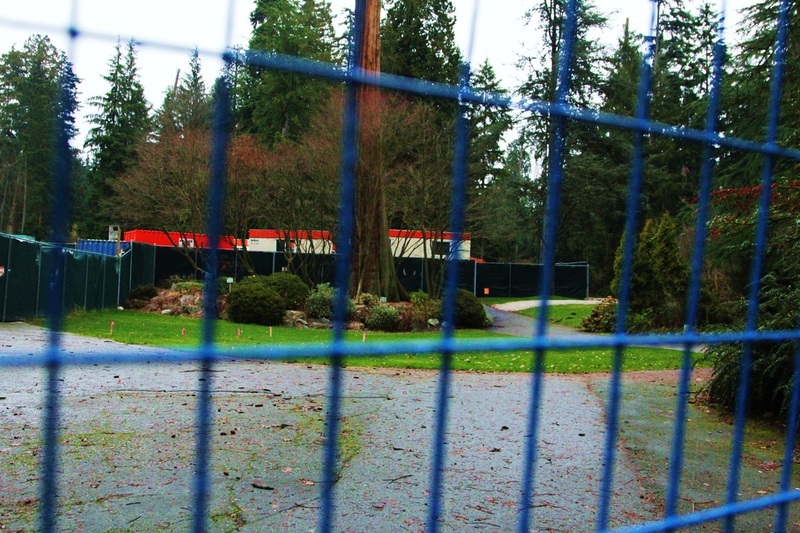 But, now that the zoo has been closed permanently, part of the plans for the Aquarium expansion is that the Vancouver Aquarium will fund the removal of non-native trees and plants, and will be replacing them with native trees of the West Coast. By restoring native vegetation, the hope is to regain the West Coast rainforest feel and for native animals to have their natural habitat back.